An incredible book on how the brain works and how it can have an effect on how we teach and how children learn. The book explores topics such as: sleep, music, exercise, memory, and many more. Watch a quick video with the author by clicking on the image above. 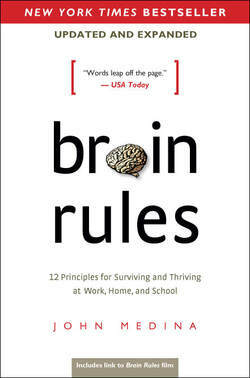 This is a review on the chapter titled, "Stress", from "Brain Rules". You will learn how stress can affect our brain and bodies. Author Ken Robinson explains how our current school system is dysfunctional and needs to change to allow for creativity. To see a summary of the book made by myself and a colleague click on the image above. "The Flat World and Education" is a must read about how we must begin to make change to our education system in the U.S. in order to respond to 21st century learning needs. It's an eye opener! Watch a a video with the author, Linda Darling-Hammond below. Ed Surge - This is a website with trending articles on education and technology. Read this article titled: "How to Take Digital Citizenship Schoolwide", to see how one school got all teachers on board and trained all staff on digital citizenship. Edutopia - a fantastic educational website with current articles and videos related to technology/21st century skills in the classroom. Read this article, "Tech Literacy: Making it Relevant Through Content Learning? to learn how one school demonstrates how to use technology to be useful through the content areas. I highly recommend that you read their books or listen to their TED talks, you won't be disappointed! Sir Ken Robinson - click on his name to see a ted talk on, "Do Schools Kill Creativity?"